As William Shakespeare celebrates his 450th birthday we are drawing inspiration from our favourite plays. The mystery and beauty of Midsummer Night’s Dream has always captivated us. We remember being utterly mesmerised by that ethereal world captured so masterfully in every verse. Add the elegance of Arthur Rackham’s illustrations and it might just be the dreamiest play we have ever read. To channel our inner Titania we would turn to delicate jewellery incrusted with natural gemstones. 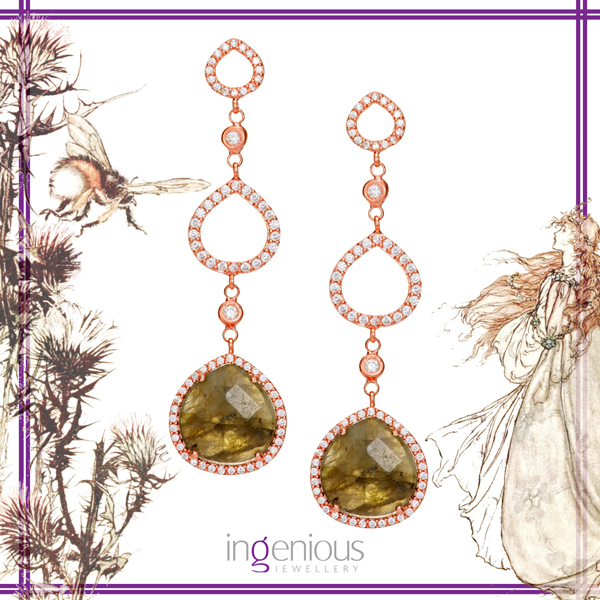 Our favourites are these rose gold earrings with moss green labradorite. 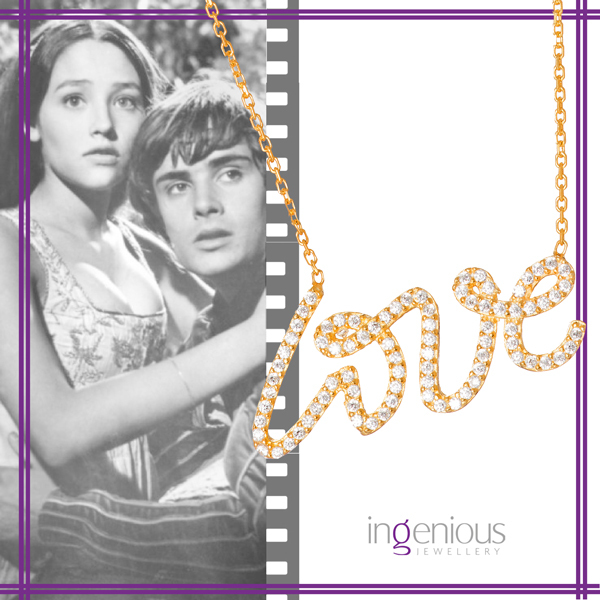 Talking about everyones favourite Shakespeare play, we can’t help but remember Romeo and Juliet. The tragically beautiful love story has inspired dozens of movies and made us long for the romance as pure and as eternal. And when it comes to romantic jewellery we have many dazzling pieces to choose from. Our choice today falls on this charming gold Love necklace – a trendy alternative to a heart pendant. “Hamlet, Prince of Denmark” was not only one of Shakespeare’s most popular works during his lifetime it also became one of the most influential tragedies in English literature. We all know the famous scene with the skull and here are some quirky skull jewellery we are simply unable to resist. Our newest addition to this glamourously philosophic collection is an onyx bead bracelet with a silver skull pendant.